The #NextGenATP star from Greece will next challenger No. 2 seed Alexander Zverev. Reigning Wimbledon champion and four-time winner at Rogers Cup presented by National Bank, Novak Djokovic fell in the third round Thursday to up-and-coming Greek star Stefanos Tsitsipas in a three-set tussle. The No. 9 seed from Serbia lost 3-6, 7-6(5), 3-6 in two hours and 17 minutes. 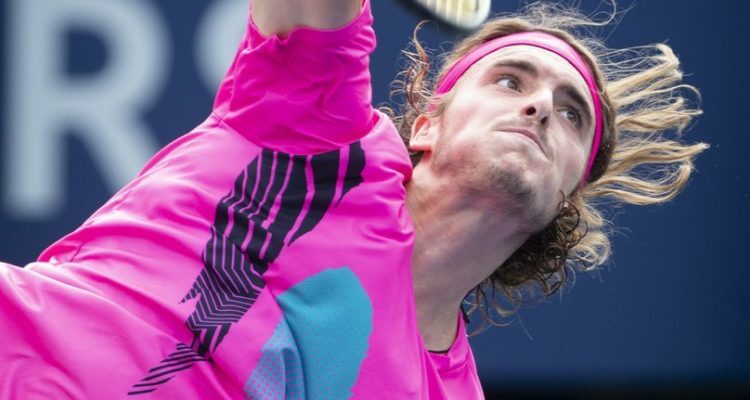 Tsitsipas, just 19, moves into his first ATP Masters 1000 quarterfinal. It’s there that he’ll meet No.2 seed and defending champ Alexander Zverev who wasted no time in a straight-forward thumping of Daniil Medvedev on Thursday afternoon. The 19-year-old won 6-3, 6-2 in 52 minutes. Zverev hasn’t dropped a set in his first two matches, and last week beat Tsitsipas in the semi-finals in Washington, D.C. Seeds Marin Cilic and Kevin Anderson moved through without much bother. Anderson will play Grigor Dimitrov, who for the second straight round needed a third-set tiebreak to come through. He beat US-American youngster Frances Tiafoe 7-6(1), 3-6, 7-6(4) on Centre Court. Cilic, meanwhile, will face World No. 1 Rafael Nadal, who defeated Stan Wawrinka in a tight two-set match 7-5, 7-6(5) late Thursday night. Haase’s quarterfinal foe will be Karen Khachanov, a 22-year-old Russian who won two tiebreak sets of his own over the big-serving John Isner, seeded No.8. In doubles, the top seeds Oliver Marach and Mate Pavic were given a walkover into the quarterfinals, while Anderson and Djokovic teamed up to beat the defending champ and No.3 seeds Pierre-Hugues Herbert and Nicolas Mahut.